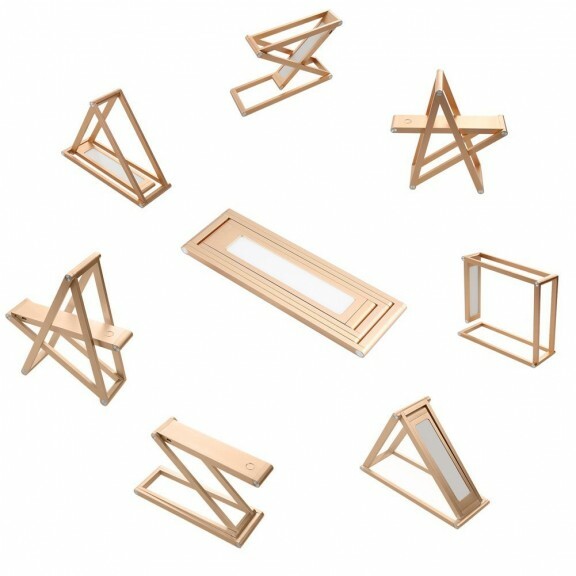 The flat LED light panel provides crisp, uniform light which mimics the daylight spectrum. Anti-eyestrain with no ghosting. Perfect for reading! 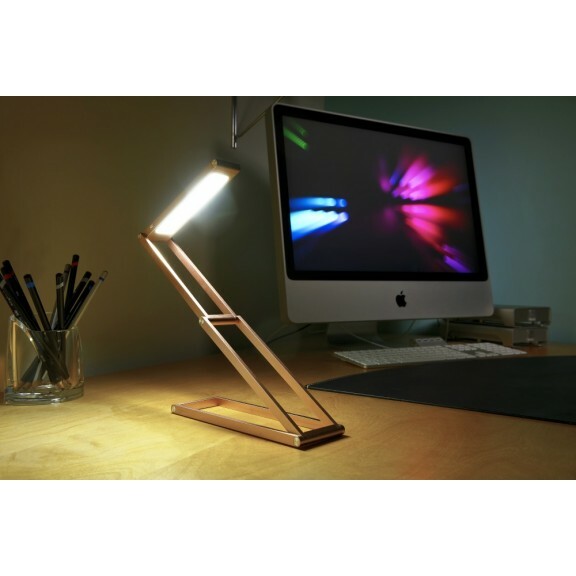 This rechargeable folding desk lamp and reading light from Auraglow has versatile design to take pride of place on any desk or wall. 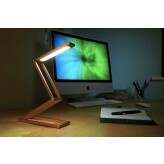 You can fold the adjustable arms into many different shapes and angle the light exactly where you need it. 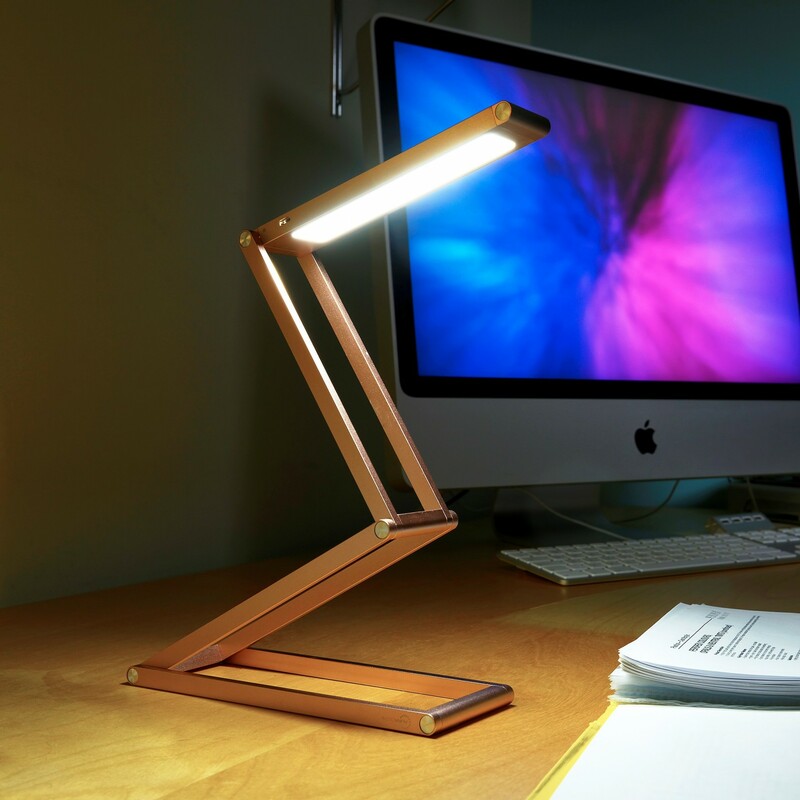 With so many possibilities along with an anodised aluminium finish, it’s a versatile multi-use lamp with stylish design to match. 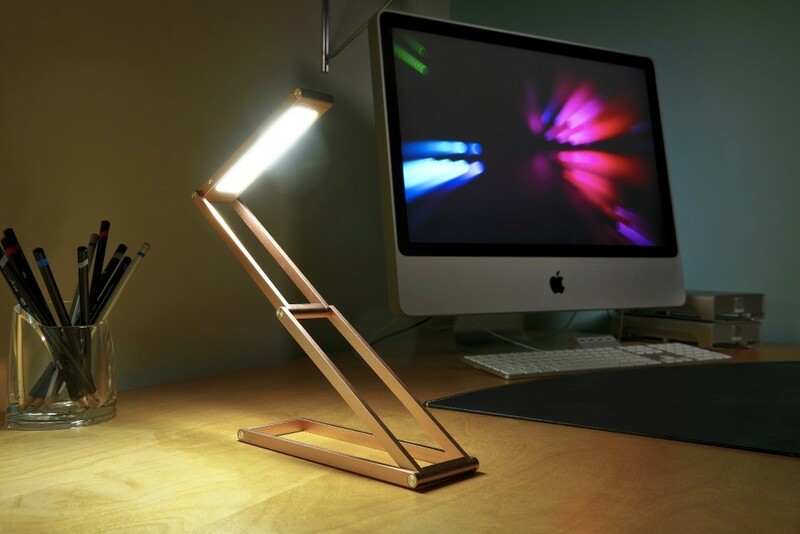 A key feature of this lamp is its LED light panel. 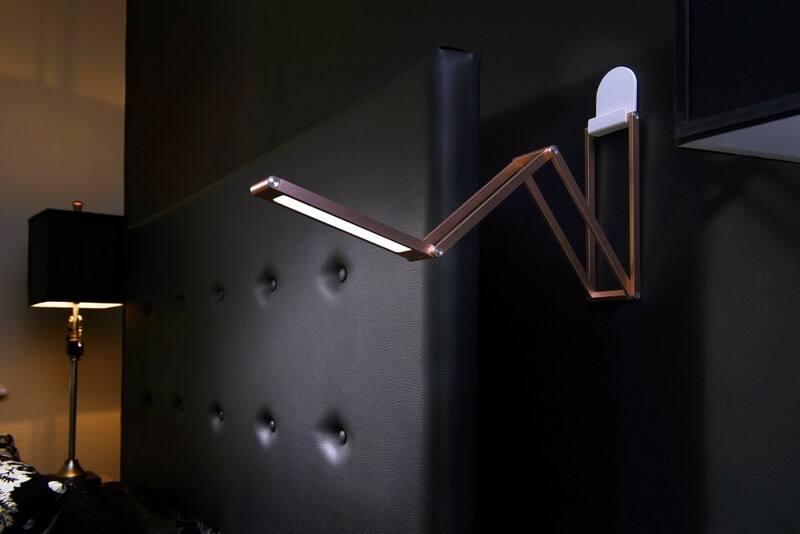 Instead of a single point of sharp light, the entire panel illuminates to provide bright and uniform lighting which mimics the daylight spectrum. 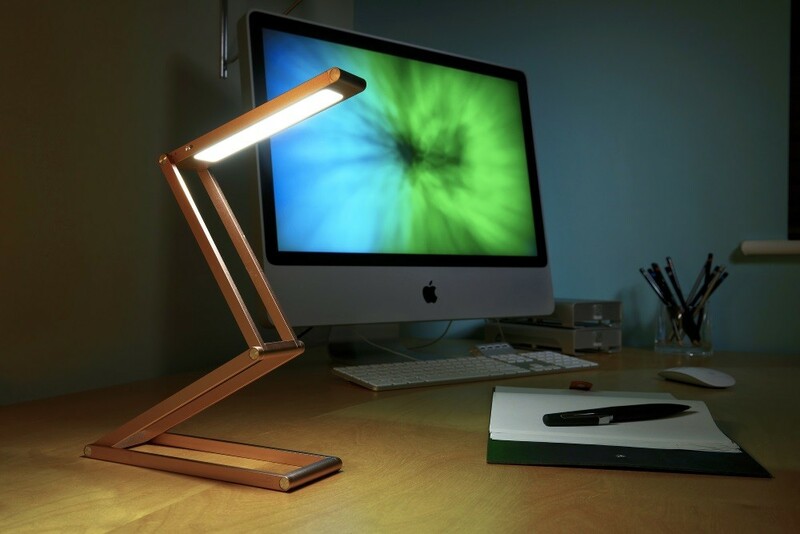 This also means that there’s no ghosting, no dark spots and also reduced eyestrain compared to conventional lamps. It’s simply much better quality light. 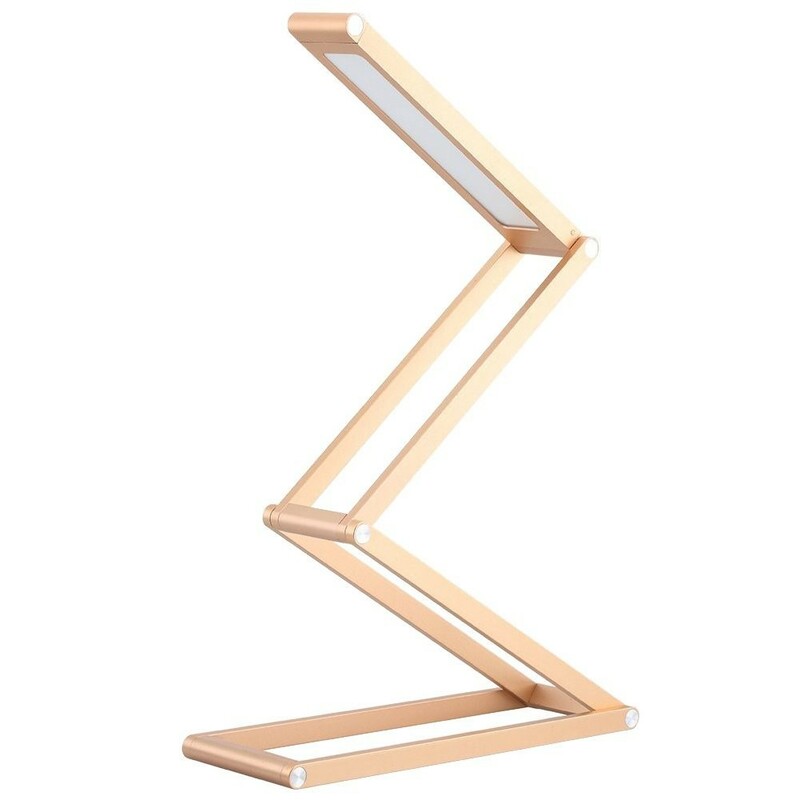 This folding desk lamp comes with the premium construction and finish expected of the Auraglow brand. Once you take it out of the box and hold it for the first time, you’ll know exactly what we mean. 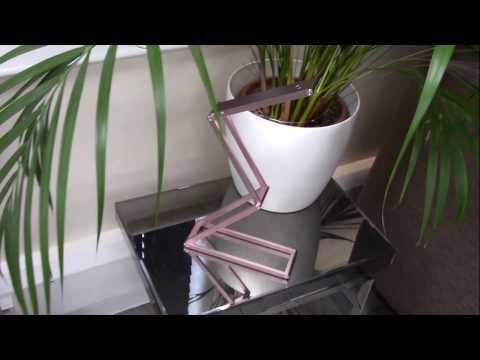 The anodised aluminium alloy is slim and sleek yet solid and durable, with no give or unwanted movement whatsoever. Every fold is also smooth and precise. It’s why each lamp comes with a full 5 year warranty. The rechargeable folding lamp also comes with two brightness settings (full brightness and reduced brightness) to provide the perfect ambiance with a cool white colour temperature of 5500K-6000K. 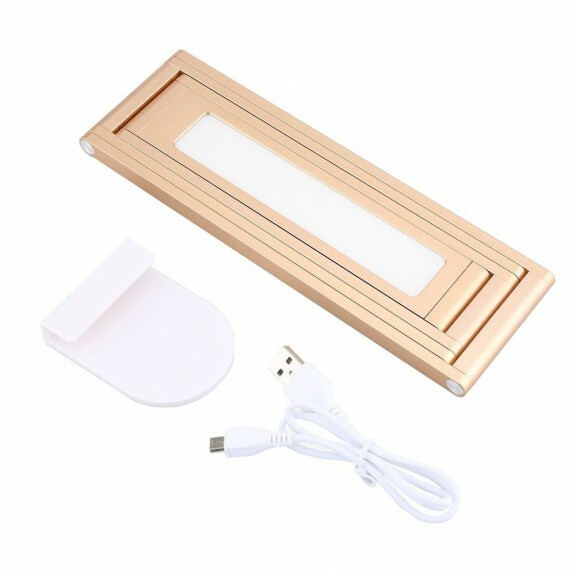 The 1000mAh battery provides 3-5 hours of continuous light, and the 1.5 metre USB cable included with the lamp allows you to recharge it via any USB port on an adapter, laptop or computer. 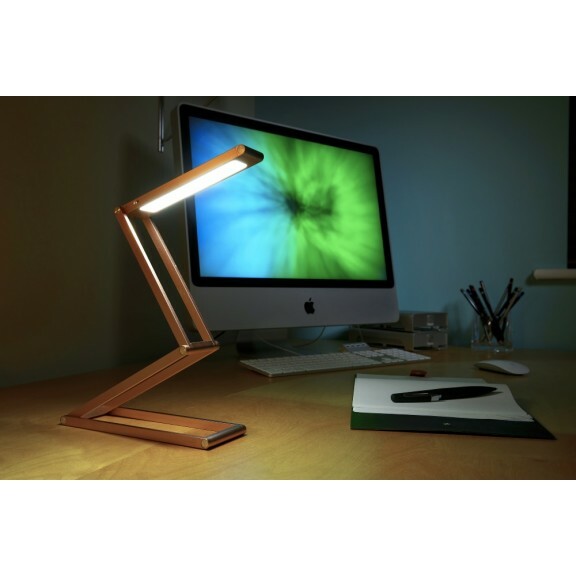 Keep it plugged in for stationery use on a desk, or unplug it and take it anywhere you need for hours of light you can depend on. An elegant desk lamp with precise light angles and multiple designs in one to mix up how your lamp looks in seconds. 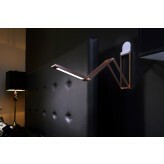 A wall lamp which can be attached to any wall or vertical surface with the sticky bracket included (see images above). A travel lamp which can be easily carried in a pocket or bag for hotel and transport use. Easy to carry for outdoor activities such as camping and fishing.